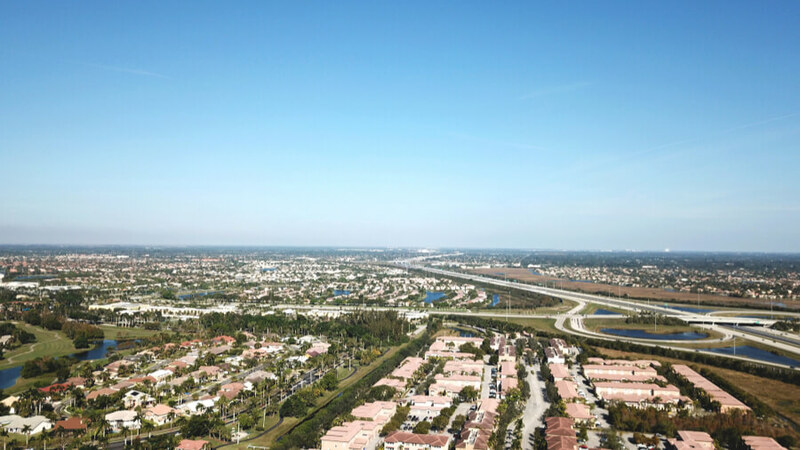 Located in the city of Pembroke Pines, Florida, Susan B. Anthony Recovery Center is a care and treatment center for mothers with children, pregnant women, and families dealing with substance abuse, mental health issues, and family dysfunction. The facility was founded in 1995 and is one of the few rehabilitation facilities—one of six facilities—in the country which provides residential treatment for mothers with children and pregnant women. More than 20 years ago, some women in the Junior League of Greater Fort Lauderdale had a vision, and this became the Susan B. Anthony Recovery Center. Originally, the facility could only accommodate and provide treatment for five mothers and six children. These clients usually stayed in a group home. The center has now expanded into a 5.5-acre property with the capacity to provide treatment for up to sixty families. The center has built various affiliations and relationships with prominent national and state organizations and boasts of a dedication to providing excellent behavioral healthcare. Additionally, the center has reunited more than 1,300 families; serves more than 60 pregnant women and 50 children daily; and has served more than 1,900 children since its beginnings. Among the levels of care, the facility provides outpatient rehab, employee addiction treatment, residential treatment, and various addiction therapy services. The center offers a safe and comfortable environment for mothers, children, women, and families to be treated as a unit. The residential treatment center is a complex with about 40 apartments and each apartment is equipped with bedrooms, a dining room, a full-sized kitchen, a living room, and a bathroom. A mother and up to three kids can be accommodated in an apartment. Many of the women at the facility are recommended from foster care or come from prison and homeless shelters. These women are given accommodation and food and participate in cooking classes and nutrition. The women are encouraged to care for their children, clean, and cook like they normally would. This is done so as to instill responsibility and encourage healthy habits. The residential treatment program allows women to receive treatment where they live and include their children and families in the process of recovery. The treatment involves various developmental and therapy models such as group and one-on-one therapy, educational services, trauma incident reduction services, and counseling. The outpatient treatment program gives clients the opportunity to maintain their family life and employment outside of the center while still receiving substance abuse treatment during the day. Patients are involved in educational sections and group counseling. The program is overseen by a multidisciplinary treatment team and involves a holistic family approach. Therapy, trauma incident reduction services, and psycho-educational groups are a part of the program. Susan B. Anthony Center cost varies depending on the type of treatment and level of care a client requires. The facility operates on a sliding scale which means that payment for treatment is calculated based on the household income of the client. The facility accepts most major commercial insurance plans such as Cigna, Blue Cross Blue Shield, Humana, Medicaid, Magellan Health, Tricare, United Healthcare, Coventry, and more. The facility is fully accredited by the Joint Commission, the CARF (Commission on Accreditation of Rehabilitation Facilities, and AHCA (American Healthcare Association). Clients who have completed a primary program at the treatment center are given aftercare or a discharge plan. This aftercare plan consists of group and individual therapy, treatment planning as well as continued assessments. The aftercare plan is given to alumni to maintain a continuum of care. Other programs offered include Relapse prevention classes and continued family support, which is very important as family involvement is said to be key. Clients with low budget can also benefit from the excellent services as fees are based on income. In entirety, the treatment center offers well-rounded, comprehensive, and well-structured programs to individuals seeking treatment from substance abuse and mental health disorders. The facility provides programs for clinical, residential, medical, and psychiatric services. Clients seeking a facility that offers an intensive level of support to female clients with children will find Susan B. Anthony Center to be a good option.